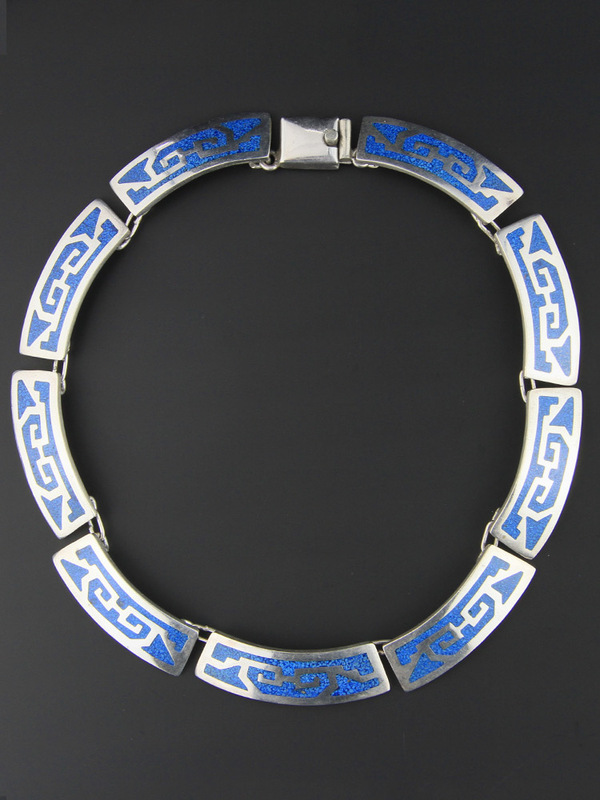 Sensational crushed turquoise inlay collar. 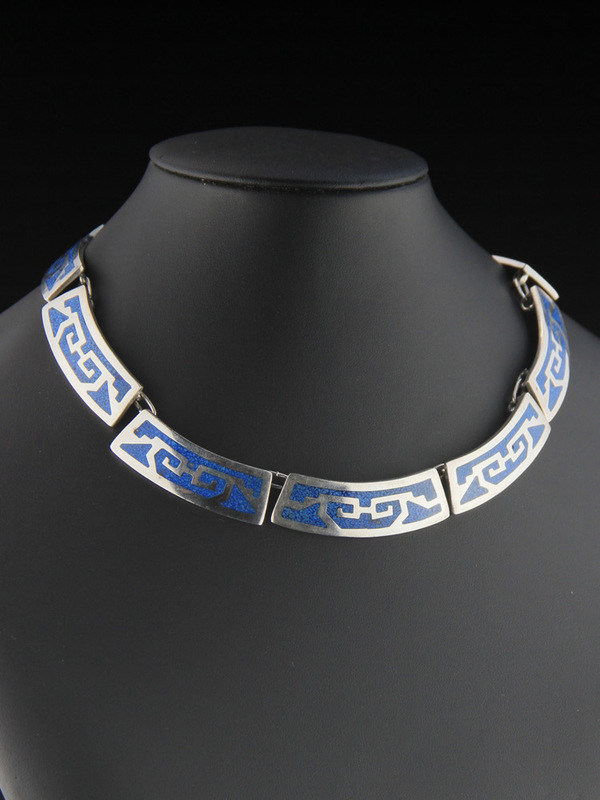 Taxco, Mexican made, circa 1980, this gorgeous necklace is a substantial weight of silver (97 grams) with crushed turquoise inlay in resin in a geometric pattern. 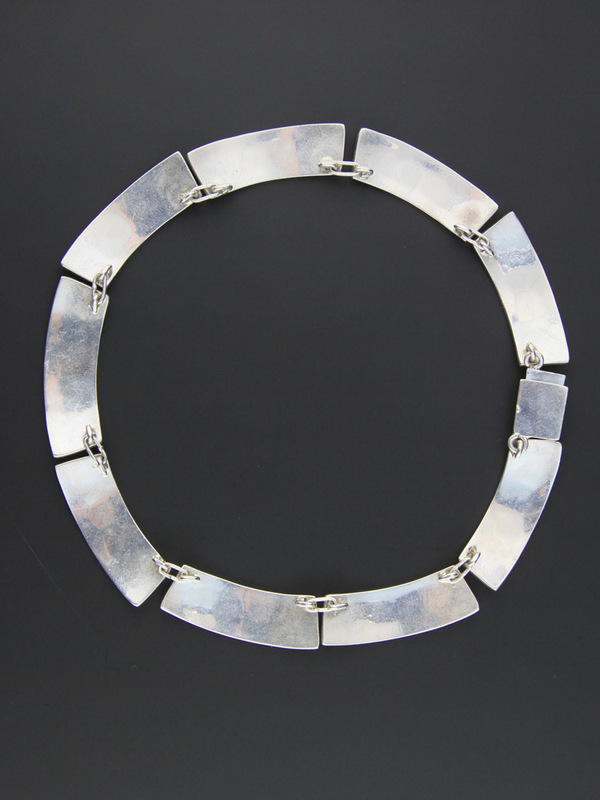 Curved articulated links that sit in an arc around the throat, tab clasp that shuts firmly with a click, very nice quality hand crafted vintage Mexican silver necklace, in superb condition. 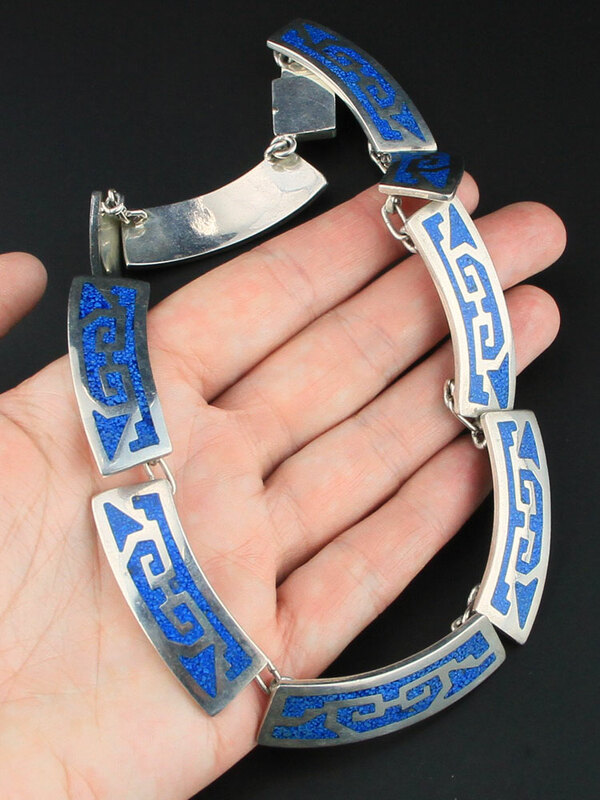 This is a large statement collar, heavy and very nicely made with deep rich blues and large links. Spectacular vintage condition! Shows mild wear commensurate with age, no dings or chips, will come with some patina, as level of polish is a matter of taste. 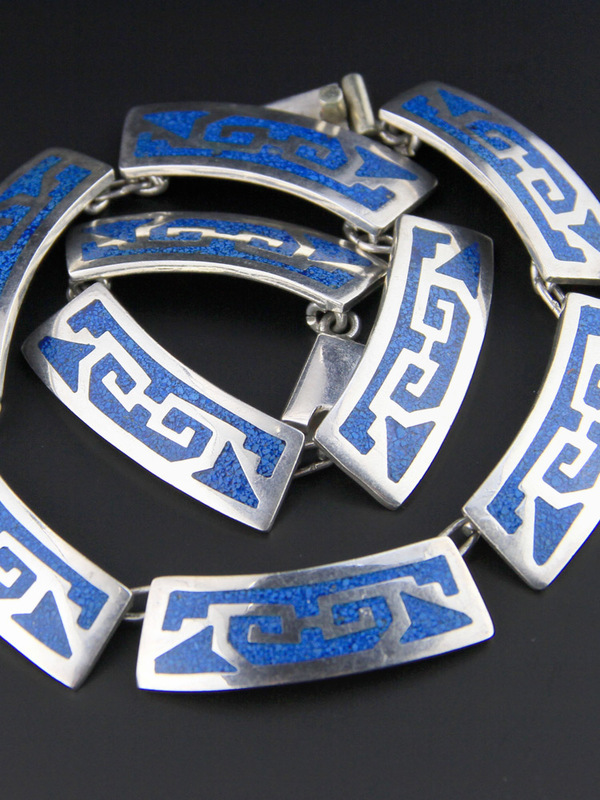 Has a handcrafted look to it - amazing vintage necklace.